Armor Complete, Blog posts coming soon. To some, a Stormtrooper is a relentless sea of white and blaster fire. The imposing army of the Empire have protected countless fortifications and decimated all who stand against them. Within the Star Wars universe Stormtroopers provide the perfect balance of being an insurmountable force and a nameless target for the heroes to shoot. The 501st Legion is the worlds definitive Imperial costuming organization. 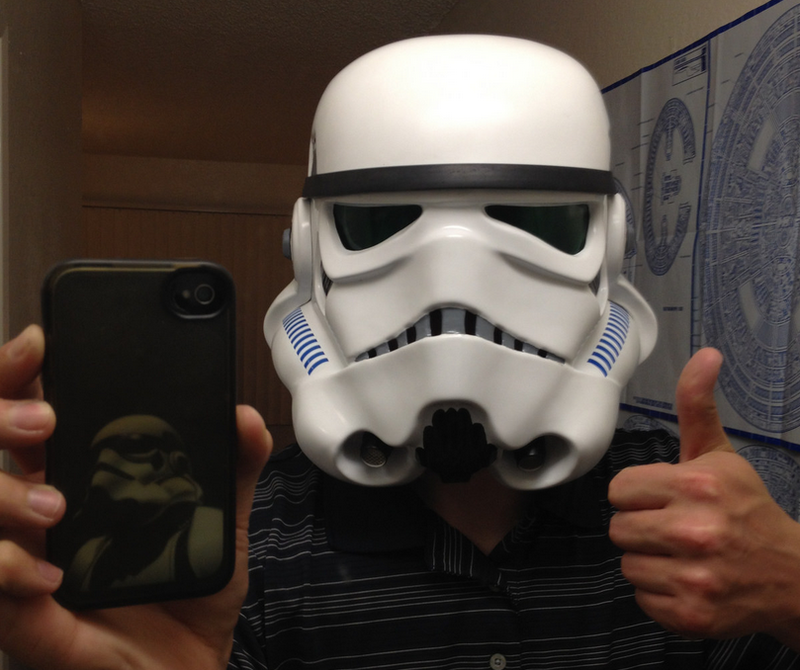 Meaning it is a large fandom of fanboys (and fangirls) who enjoy dressing up as their favorite denizens of the Empire. What sets this group apart though is their unparalleled resolve for serving and contributing to charities worldwide. After a huge windfall of cash from my graduation party my Stormtrooper costume fund is at 100%. My goal is to purchase my own suit and stand alongside these dedicated fans who use their love of Star Wars to give back to their communities. One of my favorite Star War books is Allegiance by Timothy Zahn. This tale of 5 Imperial Stormtroopers begins moments after the destruction of the Death Star in A New Hope. These five defect from the Empire and begin dispatching their own brand of Stormtrooper justice. I will post about my journey here as I purchase & construct my armor and apply for 501st membership.